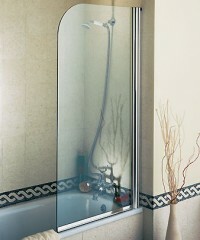 Matki shower enclosures are produced for modern day living. The collections include wetroom enclosures, space saving enclosures, day to day enclosures, in fact there is a Matki shower enclosure what ever your needs. So, whichever collection you select, you’ll experience the timeless elegance, effortless style and efficient operation that is so unmistakably Matki. These Matki shower enclosure and many more are all available to purchase from Newport Bathroom Centre so please telephone us on 01633 262629 for our latest brochures, prices and offers. Solid in construction yet sleek in its styling, the Classica Collection features both shower doors and Matki shower surrounds of exceptional design. Continuing our commitment to innovation and style the New Matki Wet Room collection offers an all-in-one wet room solution. Whilst the Matki Walk-In Collection must be the ultimate doorless showering solution, designed for corner or recess configurations. The Matki Radiance Collection has been specifically designed with the energetic pace of modern family life in mind. Matki Radiance shower doors and surrounds are both strong and practical and with a choice of aluminium finishes. The superb Matki Illusion Collection of shower doors and surrounds includes the Matki Quintesse Shower Enclosure. The high-lustre framing that rigidly holds the 8mm toughened glass is so minimal that the structure all but disappears. 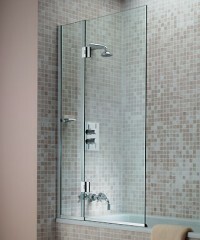 Offer an elegant and effective solution to the all-too-common problem of in-bath showering. From luxuriously-proportioned double showers to Matki's unique space saver Quintesse, the entire Matki Colonade range share the same superb levels of imagination, design, materials and engineering. The Matki Mirage Collection of doors and surrounds takes showering design to a new level. Smooth-sliding double doors and side panels cleverly located inside the shower tray - eliminating the need for silicon sealant and maintaining a much sharper, cleaner look. In addition to the Matki shower enclosures, Matki offer two ranges of shower valves, mixers and electric showers. The Elixir thermostatic shower mixers and accessories are specifically designed to complement all Matki shower surrounds and MAtki Shower Enclosures. Water temperature is quickly and automatically adjusted to ensure a constant shower and an internal preset maximum control prevents unsafe temperatures. Its wide operating range makes Elixir suitable for all types of installations. With the option of concealed or exposed mixer designs and five choices of shower head configurations, we forecast long, luxurious showers ahead. Swadling Brassware is a part of the Matki group and is one of the UK 's foremost manufacturers of high-quality shower valves and brassware. Based in Waterlooville Hampshire Swadling manufacture shower valves specially suited for British plumbing systems, incorporating a patented mixing chamber for improved flow rate. Both The Elixir and Swadling ranges are available from Newport Bathroom Centre.